IT Media Group events promote conversations among IT executives, enabling them to share knowledge, opinions and best practices in a comfortable private setting. The IT Media Group's roundtable, Securing Information in an Unsecure World, drew a full roster of IT and Security executives. Discussion addressed incident response, the implications of the millenium generation, internal threats and, in this segment extract, the importance of user education. A wealth of excellent information on a variety of IT security issues was presented at The IT Media Group (ITMG) Strategic Insights breakfast “Securing Information in an Unsecure World”, held November 20 in Montreal. The session was hosted by John Pickett, VP, Executive Programs, ITMG, who interviewed guest experts Neils Johnson, Principal Technologist for Symantec, Matt Broda, Technical Fellow – Security with Bell Canada, and Sébastien Lapointe, Information Security Officer, National Bank of Canada. The IT Media Group’s recent roundtable, “Innovation in the Cloud”, brought together 13 IT executives from a variety of Toronto area private and public-sector organizations to discuss challenges and approaches related to Cloud. Sponsor for this CIO Master Series roundtable was Hitachi Data Systems Canada, represented at the table by CTO, Paul Lewis. When it comes to innovation, the participating CIOs saw Cloud primarily as an enabler, allowing them to try out new things relatively cheaply and without a big commitment of time and resources. At this point, they are not looking at Cloud as a strong force for innovation in and of itself. A dozen senior IT executives from a cross-section of private and public-sector organizations gathered in Toronto on March 5 to exchange ideas and share best practices around “Putting Business Value Creation on Steroids”. 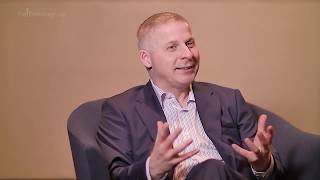 This CIO Master Series roundtable, produced by The IT Media Group (ITMG) and sponsored by IBM Canada, explored a number of themes that impact the relationship between IT and the business. David Drury, General Manager, IBM Global Technology Services, took a seat at the table and shared his insights and customer learnings. The discussion focused on a variety of issues including: impact of social media; Big Data challenges; accommodating the needs and demands of the business; promoting and enabling innovation; finding the right skill sets; getting people engaged; creating good vendor partnerships; and public sector procurement. On May 16, 2014 The IT Media Group brought together 15 Toronto area CIOs and information security executives from a variety of private and public-sector organizations to discuss “Securing Information in a Mobile World”. This CIO Master Series roundtable was sponsored by Symantec Canada, with Anuja Sharma, Director, Technical Sales, taking a seat at the table and providing her thoughts and insights. Key topics included device security methodology, serving the needs of business users who want to use personal devices, security in the Cloud, the proliferation and management of personal devices, and data breaches & response procedures.